If you are looking for periodontal treatment, Dr. Montz and Dr. Maher may recommend a consultation with our periodontist, Dr. Andrea Varesic. They can find signs and symptoms of periodontal disease during a regular dental exam, or if you come in with any dental concerns. Bleeding gums when eating or brushing your teeth. This commonly overlooked symptom of gum disease is a sign you should make an appointment. Halitosis, or constant bad breath. If you still have bad breath or a bad taste in your mouth after cleaning your teeth, gum disease could be the cause. Loose teeth or a receding gum line. When a tooth looks longer than the others or feels like it wiggles a little, it could be a sign of bone loss due to gum disease. We are most concerned about our patients with heart disease, diabetes, osteopenia or weak bones, or osteoporosis are at higher risk for gum disease and periodontitis because the bacteria can spread to other parts of the body. 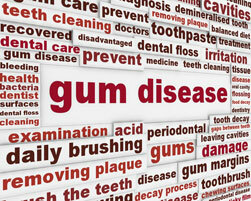 How do you know if you’re suffering with gum disease? Red or white patches on the gums or cheeks. Sores that don’t heal and easily bleed. Problems with chronic sore throat or constant hoarseness. Lumps or thickening of the skin on the inside the mouth. Problems when chewing or swallowing. These signs can point to serious gum health problems, whether you have pain or not. A dental health professional should always check changes on the lips, cheeks, palate, and gum tissue. We also recommend monthly self-examinations so you can keep track of any changes and keep your mouth healthy and happy. You should never ignore any suspicious bumps or sores. Dr. Montz and team and Dr. Varesic work together as a team to provide you with excellent periodontal care. 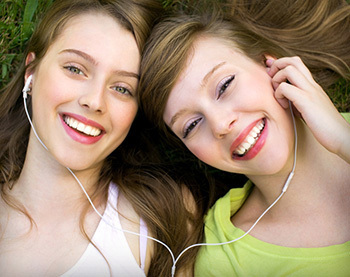 They work together to provide personalized treatment and track your progress. Together, Dr. Montz, Dr. Maher, Dr. Varesic and the dental hygienist may want to see you periodically for maintenance therapy as well. To prevent periodontal disease, prevent tooth loss, and keep your smile beautiful, follow any programs that Dr. Montz and our team recommend. Protecting your periodontal health through preventive maintenance can prevent serious future problems. You can chew, speak, and smile with more confidence. You’ll also keep dental costs down by preventing future problems. If you commit to taking care of your mouth, you commit to a healthy smile for life. CALL OUR OFFICE today to schedule an appointment for friendly, unparalleled periodontal dentistry!